Forgotten Legacy of WWII Wrecks- Environmental Hazard or Underwater Cultural Heritage? The President of the Ocean Foundation, Mark Spalding, recently wrote a piece for National Geographic about the hazards of underwater cultural heritage (UCH) towards a healthy ocean environment. Many articles over the last two or three years have debated the issues around the potential for oil pollution from these UCH sites, as these are sites of cultural significance, and in many cases, grave sites. One of the more well known examples of oil pollution is the 1953 wreck SS Jacob Luckenbach, a supply freighter headed to Korea during the Korean War. Scientists were able to pinpoint the shipwreck after decades of questioning why sea life were being killed from oil spills with no apparent source. The cleanup from this wreck alone cost between $18-22 million. The USS Arizona, which has been leaking oil since it was attacked at Pearl Harbor in 1941, is another prominent example where multidisciplinary teams are still working to solve the same catastrophic issue. There is much debate about how to go forward, despite the simplest solution being to pump out the oil before the tanks are destroyed. No one organization controls, let alone has the ability, to survey and intervene on every potentially threatening wreck in the Ocean- a feat that is nearly impossible at the present moment, even if every organization were to intervene. In 2013, NOAA, as part of their Remediation of Underwater Legacy Environmental Threats (RULET) project, released a report that narrowed down the estimated 20K vessels in US waters down to close to 600, of which they completed 87 individual assessments. This report contained several vessels from WWII, amongst others, and found that only 36 of those posed a significant oil pollution threat and 17 are recommended for further investigation. So if you look at the number 7800 wrecks vs 36 or even 600 wrecks, there is room for debate for how imminent the problem might actually be. Although, certainly no one is arguing that these threats shouldn’t be mitigated for the more hazardous wrecks. 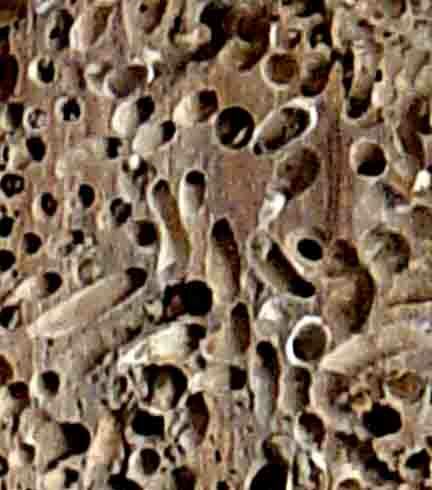 And yet, despite all the problems highlighted here, many of these vessels have become artificial reefs where sea life and algae thrive. Plans for solving this global crisis must include measures for minimal disturbance of the sea life and their habitats. Because these UCH sites are by definition ‘underwater’, interested parties must work even harder to keep the public and ruling agencies apprised of the problems, but also these wrecks’ importance to our humanity and history. Conservationists, environmentalists, archaeologists, and others must create mediation plans for the coming years when oil pollution and other, potentially worse issues, arise from these wrecks so that history doesn’t become catastrophe. Kurdistan is a territory in the south of the Caucuses in the mountainous regions that primarily intersect Turkey, Iraq, Iran and Syria. The Kurdish people have been fighting for independence for over a millennium, but their current efforts can reflect the most recent century of their history; fervently fighting neighboring entities for their chance at independence – but non of their efforts have proven successful. 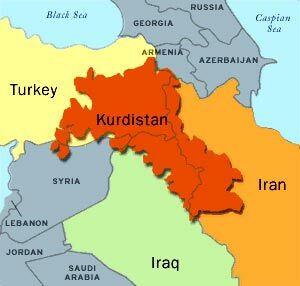 The current population of the Kurdish people stands between 10 and 15 million. The group’s massive population and long-standing yet fruitless fight for statehood has led the region to be known as the“Invisible Nation”. They are a group of non-Arab people who speak a language related to Persian and are predominantly Sunni Muslim. Why does this matter right now? he terror group ISIS that has swept the Middle East is aligned with extremist Sunni Muslims – killing Christians, Shia Muslims, and any others who do not adhere to their means of extremism in their wake. The Invisible Nation of Kurds, although predominantly Sunni, have served as THE front line against ISIS since the group’s rise in 2014 – holding areas like Kobane lest they fall to the terror group. Centuries ago, the Kurds were fighting ethnic groups like the Yazidis (you may recognize the groups name from the headlines of Yazidis trapped on Mount Sinjar). But today, Kurds are joining – and often leading the fight for the survival of this very ethnic group. However, some of the bravest fighters in the war on ISIS are the women of Kurdistan. Women that have certainly caught the eye of the West. In November 2014, Ruwayda Mustafah Rabar posted an article in Global Voices calling attention the Western ‘obsession’ with the Kurdish female fighters – noting that the women of Kurdistan have been fighters for centuries, and only recently have we chosen to acknowledge their existence. However, I think the obsession she notes – is more of a captivation. Most notably due to the fact that the West – and America in particular – have been bombarded with images of what Muslim women look like, what their place in the Arab world is, and what their attire is meant to look like – through Western lenses, of course. 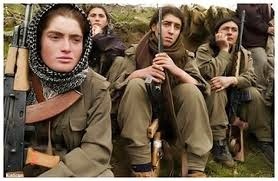 The Kurdish female fighters do not fit into any of these little boxes the Western perspective has designed for them – so naturally, like anything that doesn’t fit our predesigned molds, they have become a cultural fascination, as opposed to be recognized for the norm of this beautiful cultural diversity that has existed for centuries. And what else could lead to this obsessive fascination? The fact that the Kurds have units composed entirely of female fighters. In the US, a nation that prides itself on striving for equality, women are not currently permitted in combat after being banned in 1994 – although Leon Panetta announced in 2013 that the Pentagon would lift the ban, it will not become effective until 2016. So why is it that a Muslim ethnic group has created entire units of female fighters, when the Western pillar of equality has not yet done it? Because the Kurdish forces are fighting a psychological and ideological war as they see to #PsychOutISIS. ISIS terrorists allegedly believe that they will “go straight to hell” if they are killed by a woman, and these brave women make that a certainty when they fight. In an interview with Richard Engel, one of the leaders of the Kurdish female fighting forces in Kobani gave some background to their reasoning for joining their men on front lines and blazing their own path against ISIS. SIDE NOTE: Why did we focus on the Kurds this week? Taking a look at the women of Kurdistan may seem a bit out of our science and STEM-focused wheelhouse. Aside from our goal to promote strong and inspiring women, the people of Kurdistan were a group I had wanted to shed a light on in particular. My own relatives are members of an ethnic group with a state that never was – Pontus. Pontus was a Greek region of Asia Minor on the south coast of the Black Sea – the Pontian Greek people were ethnically cleansed from modern-day Turkey at the beginning of World War I. I see so many of the struggles and cultural triumphs in the people of Kurdistan that the Pontian community shares, so next week we will be diving further into who the Pontian Greeks were – and are today. Stay tuned to hear about this and other missing history that may not have made it into your old social studies textbooks. This year, ArchaeoVenturers and Youth Diving With a Purpose co-participated with Archaeology in the Community for their IAD event at the Georgetown Library. Run by Dr. Alexandra Jones, Archaeology in the Community organizes events and activities all year round in the DC/MD/VA region (for anyone reading who might be interested in participating or volunteering). We had several interested children from the neighborhood join us for the activities, such as reconstructing broken ceramics (courtesy of DC SHPO office, organized by Ruth Trucolli) or rolling clay pots with Sara Ayers-Rigsby (all the way up from CRM work in FL) to trying on scuba equipment (which is always a favorite as kids love playing dress up). The number one question, behind the inevitable shark questions, is ‘when can I learn to dive?’ which always makes me quite giddy knowing that, in a few years (you can technically start with PADI at only 10 years old! ), we could have a new crop of intelligent and inquisitive young kids becoming divers and scientists one day! Also on IAD, I was fortunate enough to be extended an invitation to participate in “History, Heroes, and Treasures” organized by the National Archives and Records Administration- which is literally “Night at the Museum”- I wish I had these kinds of opportunities available when I was a kid! The #ArchivesSleepover is described by the Archives Foundation as:”Throughout the night, young explorers investigate – through music, chats with historical figures, games, and more – some of the greatest adventures of all time. Campers will discover mysterious shipwrecks, venture into outer space, explore the wild West, and trek through the rugged Arctic as they explore the National Archives Museum’s treasured records.”All the while, these lucky kids and their parents get to SLEEP NEXT TO THE ORIGINAL CONSTITUTION OF THE UNITED STATES OF AMERICA- a truly once in a lifetime opportunity-they will hopefully be regaling tales of this night to their children and grandchildren!I worked with David Gadsby of NPS to teach the young explorers how to document artifacts on a shipwreck map (the sitemap of the shipwreck America)- to which they exceeded all expectations. Following that, I was asked to play the part of the Underwater Explorer/Archaeologist (modern day) alongside historical characters Meriwether Lewis (of Lewis & Clark exploration fame) and Matthew Hensen (1st African American polar explorer). I donned my full scuba kit for my costume- luckily, I wore a child’s size tank, since we were standing up there under those bright lights for an hour! We were set up on stage, in tv interview format, so that all 100 kids in the audience were allowed to ask us questions. I assume I can speak for my fellow explorers when I say that being on stage answering their queries and helping to educate them about archaeology (not Indiana Jones archaeology), was an inspirational moment for me, knowing how genuinely interested these students and parents were in science and history.Overall, it was an outstanding year for International Archaeology Day and for getting young kids interested in maritime archaeology – I cannot wait to be invited back next year!